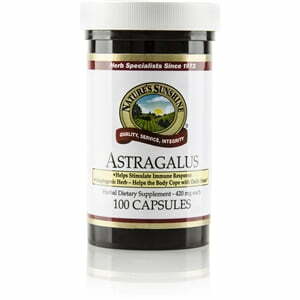 Nature’s Sunshine Astragalus Root may support stamina and fortify the immune system. Astragalus Root, an ancient Chinese herb, may promote healthy respiratory functions, along with encouraging the production of stem cells in bone marrow, which helps the immune system. Astragalus Root may also benefit heart function. 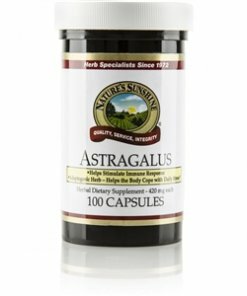 Each capsule contains 420 mg of astragalus root.